Boys on the Gators baseball team (pictured) braved the summer heat and are champions of the Spring Branch-Memorial Sports Association (SBMSA) summer league. The undefeated Gators, who all attend Bunker Hill Elementary, finished first out of 22 teams in the division. After playing on various spring-season and tournament baseball teams, the boys came together to play for the same team during the summer season. 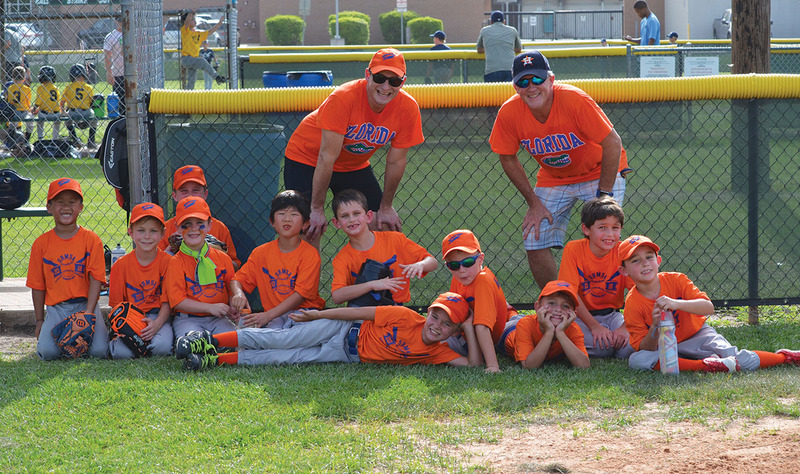 The winning Gators are (top row, from left) coaches Ramon Lafee and Dan Hammer; (bottom row, from left): Mason Ly, Turner Garner, Wyatt Hammer, Riggs Hammer, Yuki Tamura, Diego Lafee, Ben Sellis, Matthew Crain, Colton Parks, Wesley Simpson and Jacob Barnhill; not pictured: Connor Jones.